I've been on MET for about a week now. 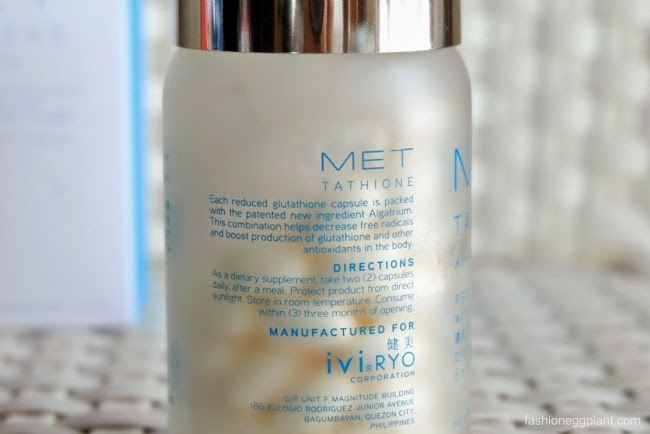 MET is an advanced Glutathione supplement that is meant to be ingested twice daily after meals. 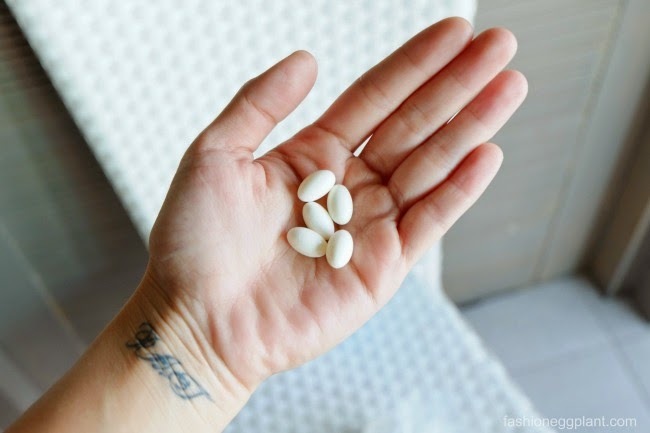 Contrary to popular belief, Glutathione isn't really (and just) a whitening product per se. Rather than lighten the skin, Glutathione evens out the skin tone and delivers radiant looking, younger skin. 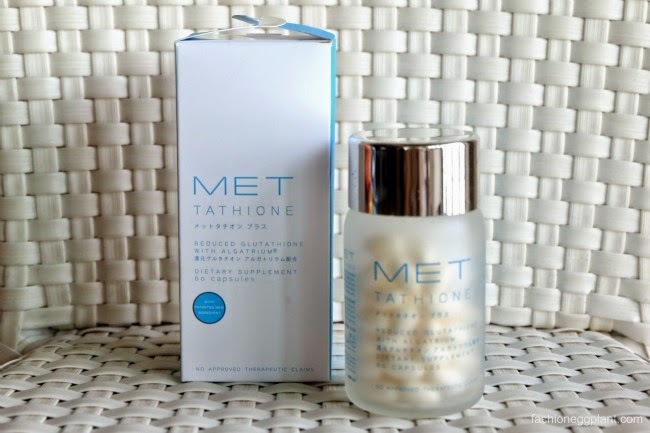 Out of all the other brands out there, I chose Met because it is 100% produced and packaged in Japan (I mostly trust everything Japanese :P) and it's the only brand that contains a new ingredient called Algatrium - a powerful antioxidant designed to boost Glutathione production by 300%. protect the body from free radical damage. And those are predominantly the reasons why I decided to start taking Met regularly. I smoke, drink occasionally and am often exposed to pollution (especially considering the area I live in which is just a few blocks away from Edsa) all of which are some of the most common causes of free radical damage. Add to that the bipolar weather we've been having lately and it's enough to get even the healthiest person down with the sniffles. Taking Met is more of a preemptive measure for me and so far, I'm really liking the effects (especially physically).